* Answer each question in the series below to view Advice. What is the SEVERITY of Patient's MR? What is the ETIOLOGY of the Patient's MR? Are Any of the Following Additional Characteristics Present? Which of the Following did Diagnostic Testing Indicate? Is Flail Leaflet or Tethering Present? Use this app to help verify MR severity and etiology, and inform decisions on the feasibility of valve repair and need for referral based on severity, etiology, and other parameters. 1. Enter your patient’s profile on this screen by answering the questions below. 2. Review full advice based on that profile on the Advice screen. WHEN to use this app: After thorough examination of the Chronic MR patient assessing a patient's clinical presentation including symptoms, physical exam, exercise tolerance, and goals of care. In addition, ECHO findings should be reported using standardized nomenclature to further guide the surgical/interventional decision-making supported by this app. Download a tool to help with standardized ECHO Reporting here. Consider: Patients may reduce their activity level to avoid symptoms. It is helpful to ask the patient or their family what is the most vigorous activity s/he currently undertakes and compare that to what s/he was able to do previously. If Secondary MR is suspected, use diagnostic testing to determine if it is of ischemic or nonischemic origin. In making final determination of etiology, consider common pitfall: anterior leaflet override due to posterior leaflet restriction is pure secondary MR and not mixed etiology. 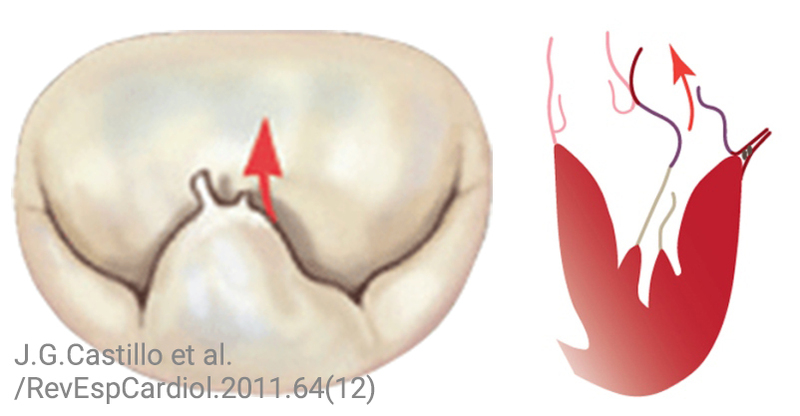 Consider: Echo tends to underestimate MR severity in eccentric or wall-impinging jets. Consider: Common reasons for overestimation of MR severity, such as high MR driving velocity and MR duration limited to very early or very late systole. Severity is unknown. Further testing is advised. See Advice tab for more information. In making final determination, also consider possibility of mixed MR due to both primary and secondary causes. Severity is likely moderate based on assessment. However, final determination should depend on integration of these parameters in conjunction with other clinical evidence including symptoms, exercise tolerance, physical exam and chamber sizes. In cases where different parameters are discordant among themselves or with clinical findings, severity is still uncertain and further testing is advised. See Advice tab for more information. Severity is likely mild-to-moderate. Further testing is advised. See Advice tab for more information. Severity is likely severe based on assessment. Severity is moderate-to-severe. Further testing is advised. See Advice tab for more information. Severity is likely mild based on assessment. CC. MR is likely severe. *At the time of publication of this app, ACC does not yet have an official definition of a comprehensive valve center or the criteria by which a mitral valve surgeon or interventionalist is considered experienced or highly experienced. However, ACC recognizes that these issues are of intense interest to the community, and as such, they are the focus of current collaborative multi-societal deliberations to potenailly be published at a later date. * See text. 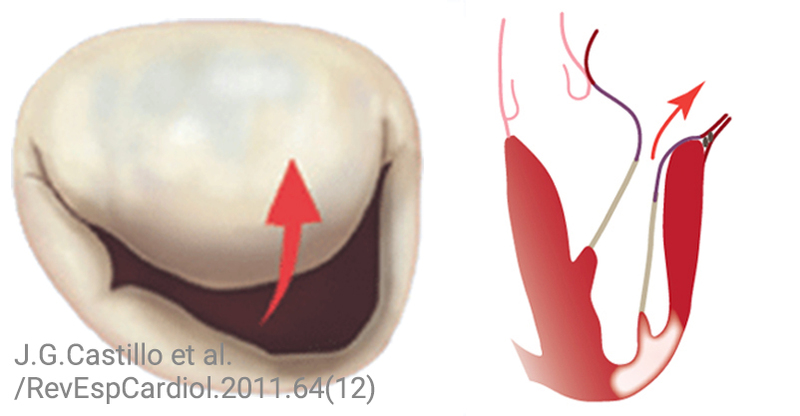 Forme fruste refers to a pathoanatomic form of primary MR intermediate between fibroelastic deficiency and Barlow’s disease. 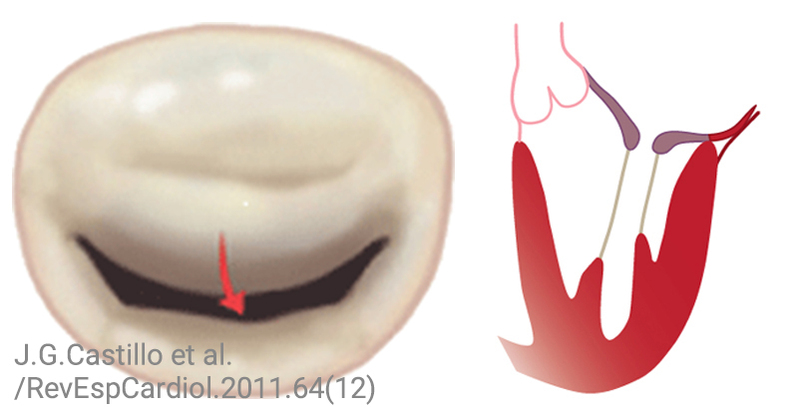 Carpentier Atrial View Image: Castillo JG, Solís J, González-Pinto Á, Adams DH. 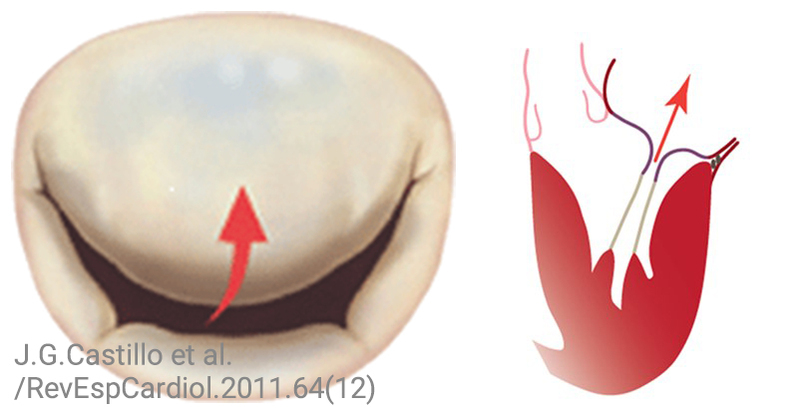 Surgical Echocardiography of the Mitral Valve. Revista Española de Cardiología (English Edition) 2011;64:1169-1181. O’Gara PT, Grayburn PA, Badhwar V, Afonso LC, Carroll JD, Elmariah S, Kithcart AP, Nishimura RA, Ryan T, Schwartz A, Stevenson LW. 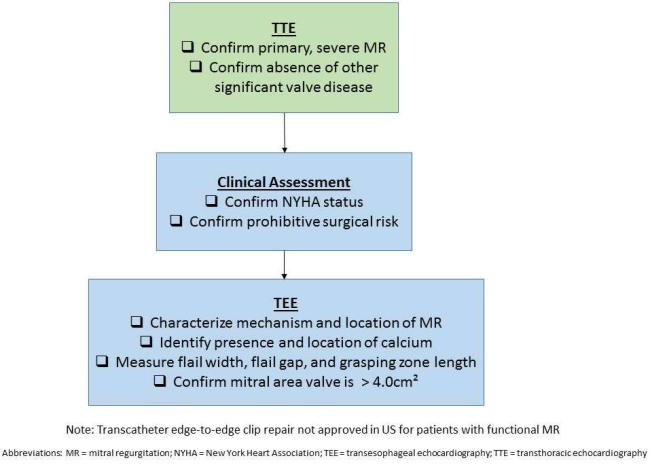 2017 ACC Expert Consensus Decision Pathway on the Management of Mitral Regurgitation: A Report of the American College of Cardiology Task Force on Expert Consensus Decision Pathway. This Application was produced after careful consideration of the scientific and medical knowledge and the evidence available at the time of publication. The results and recommendations provided by this application are not intended to, and should not replace clinical judgment of the care provider. Further, the material is not intended to present the only, or necessarily the best, methods of procedures for the medical situation, but rather is intended to represent an approach, view, statement, or opinion. The content in this product is presented as an educational service intended for licensed healthcare professionals. Therapeutic options should be determined after discussion between the patient and their care provider. You hereby agree to indemnify, defend, and hold ACCF, its directors, officers, shareholders, parents, subsidiaries, affiliates, agents, and licensors harmless from and against any and all liability, losses, damages, and costs, including, without limitation, reasonable attorney's fees and costs, incurred in connection with any claim arising from your use of this application or its content. How is the ManageMR intended to be used? Using the results of the initial assessment input the required patient parameters into the Evaluate screen of the app. Consider the advice in conjunction with initial clinical assessment. If patient’s MR severe, review advice on the Advice screen regarding the feasibility of MR repair or replacement for your patient, and use it to help inform treatment decisions. Based on the definition of your patient’s MR, use the app’s Advice screen to help determine if monitoring or referral to additional experts is suggested for your patient. If need for referral is determined by the clinician, they can use the MR Referral Checklist tool to help facilitate a comprehensive referral handoff. Use the Email button on the app’s Advice tab to email yourself a summary of the advice given by the app. How was the ManageMR developed? This app was developed as part of a continuing initiative to enable clinicians to access and implement ACC clinical policy at the point of care for better patient care and outcomes. This app was also developed as part of the ACC's Emerging Mitral Regurgitation Clinical Care (EMC2) Initiative, and is supported by Founding Sponsor Abbott Vascular. All content was independently developed with no sponsor involvement.